Draft: 2011, New York Mets, CAth rd. Resides in Oklahoma City, OK during the offseason with his wife, Kelsey...Participates in the Autographed Memorabilia Donation, the Autographs for a Cause (donates money to Wings) and the Dreams Come True programs; helped raise money as one of the 30 "Real Men" selected to participate in the American Cancer Society's 'Real Men Wear Pink' Campaign in 2017 and 2018; attended Keeping Kids in the Game; participated in the pregame ceremony prior to the annual Play Ball Weekend and the Baseball Fantasy Camp for Kids, the Tigers Winter Caravan and TigerFest...Named the Tigers nominee for the Roberto Clemente Award in 2018...Attended Deer Creek High School in Edmond, OK and earned First Team All-State honors in 2011 after hitting .436 with six home runs and 43 RBI, and posting a 10-2 record on the mound with a 0.72 ERA and 127 strikeouts. Completed his third season with the Tigers in 2018, making 24 starts...Threw a season-high 8.0 innings in his season debut on April 1 in the first game of the doubleheader vs. Pittsburgh, allowing a run on four hits with three strikeouts…also tossed 8.0 innings on June 28 vs. Oakland...Finished the month of April with a 1-2 record, a 2.76 ERA (29.1IP/9ER) and 22 strikeouts in five starts...Allowed three earned runs-or-less in six-of-seven starts between June 8 and July 8, posting a 3.10 ERA (40.2IP/14ER) and 36 strikeouts over that span...Sidelined from July 20-August 24 with a left oblique strain...Sidelined from September 21-October 29 with a right lateral meniscus tear. Started 25 games for the Tigers in 2017 as he completed his second Major League season...Selected to the American League All-Star Team for the first time in his career...he was one of four pitchers selected to the roster by MLB...was not on the active roster for the American League since he started on the Sunday prior to the All-Star break...Allowed just 13 home runs in 164.2 innings, leading the American League with 0.71 home runs allowed per nine innings...had a homerless streak of 73.2 innings during the season...Finished the season tied for fifth in the American League with one complete game, sixth with a 1.15 WHIP and 2.19 walks per nine innings and ninth with a .243 (150x617) opponents batting average...Started the season with 10 consecutive quality starts from April 7-May 27...the streak was tied with Justin Verlander (March 31-May 19, 2011) for the longest by a Tigers pitcher to begin a season since 1913...Named the Tigers Pitcher of the Month for May after posting a 3-2 record with a 2.19 ERA (37.0IP/9ER) and 28 strikeouts in five starts...Selected the Tigers Pitcher of the Month for June after compiling a 2-3 record with a 4.28 ERA (33.2IP/16ER) and 24 strikeouts in five starts...Sidelined from August 3-14 with right elbow ulnar neuritis. Posted an 11-7 record with a 3.06 ERA (159.0IP/54ER), 136 hits allowed, 42 walks and 132 strikeouts in 26 starts during his rookie season in 2016... Earned American League Rookie of the Year honors by the BBWAA, becoming the fifth Tigers player to earn the honor and the first since Justin Verlander in 2006...named the American League Rookie of the Year by The Sporting News and American League Oustanding Rookie in the Players Choice Award balloting...Finished 10th in voting for the American League Cy Young Award...Tabbed the Detroit Sports Broadcasters Association Tigers Rookie of the Year... Selected to Baseball America's Major League All-Rookie Team... Among AL pitchers with at least 150.0 innings pitched, Fulmer ranked third with a 3.06 ERA, while he was seventh with a .231 (136x590) opponents batting average and a 1.12 WHIP... Finished his rookie season with 132 strikeouts, which were the second most by a rookie pitcher in Tigers history, trailing only Les Cain, who struck out 156 batters as a rookie in 1970... Assigned to Triple A Toledo to begin the season - started three games with the Mud Hens and went 1-1 with a 4.11 ERA (15.1IP/7ER) and 20 strikeouts. 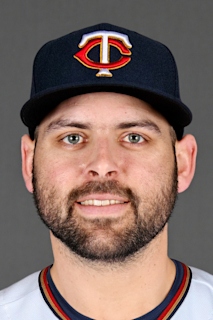 Recalled from Triple A Toledo prior to the game on April 29 - made his major league debut that night at Minnesota and earned the win, allowing two runs on seven hits with one walk and four strikeouts in 5.0 innings…struck out Brian Dozier in the first inning for the first strikeout of his major league career... Recorded the first double-digit strikeout game of his major league career on May 21 vs. Tampa Bay, striking out 11…added a second game with 10-or-more strikeouts on July 1 at Tampa Bay, fanning 10... Threw 7.2 shutout innings on May 27 at Oakland, allowing three hits with one walk and three strikeouts - with his performance, Fulmer became just the third Tigers pitcher since 1913 to throw at least 7.2 shutout innings and allow three hits-or-less in one of his first six career starts, joining Pat Underwood on May 31, 1979 at Toronto and Earl Whitehill on September 29, 1923 vs. Cleveland...Won his third straight start on June 1 at Los Angeles (AL), throwing 7.2 shutout innings with two hits allowed, two walks and eight strikeouts - with his performance, Fulmer became just the second Tigers pitcher since 1913 to have backto-back starts of 7.0-or-more shutout innings with three-or-fewer hits allowed, joining Mickey Lolich, who had back-toback shutouts with three-or-fewer hits allowed on September 9 and 15, 1968…also became the second Tigers pitcher since 1913 to win five of his first seven career starts, joining Zach Miner, who won six of his first seven career starts in 2006... Carried a no-hitter into the seventh inning of the game on June 1 at Los Angeles (AL) before allowing a two-out single to C.J. Cron -- according to the Elias Sports Bureau, Fulmer became the first Tigers rookie to have a no-hit bid of that length since Bill Slayback, who went seven innings before allowing a hit in his major league debut on June 26, 1972 against the Yankees... Threw 6.0 shutout innings with two hits allowed, three walks and five strikeouts in the game on June 6 vs. Toronto - became the first Tigers pitcher since at least 1913 to have three straight starts with 6.0-or-more shutout innings and three-or-fewer hits allowed... Threw at least 6.0 shutout innings and allowed three-or-fewer hits in four straight starts from May 27-June 12 - according to the Elias Sports Bureau, since 1893, when the mound was moved to 60 feet, 6 inches away from the plate, Fulmer and Jake Arrieta (September 22, 2015-April 4, 2016) are the only two pitchers to record four consecutive starts of 6.0-or-more shutout innings and three-or-fewer hits allowed...Had a consecutive scoreless innings streak of 33.1 innings from May 21-June 17, which was snapped with a two-out solo homer in the sixth inning by Kansas City's Salvador Perez…the streak ranks as the longest by a Tigers pitcher in franchise history, and according to the Elias Sports Bureau, the streak was the second longest by a rookie pitcher since 1971, trailing only a streak of 35.0 scoreless innings by Fernando Valenzuela during the 1981 season...Named Tigers Pitcher of the Month for June after starting five games and posting a 3-1 record with a 0.61 ERA (29.2IP/2ER), 14 hits allowed, 13 walks and 24 strikeouts…led the majors with a 0.61 ERA during the month, while he was second with a .140 opponents batting average... Allowed one run-or-fewer in eight starts from May 21-July 1, becoming one of only six pitchers since 1913 to have eight straight starts with one-or-fewer runs allowed, joining Bob Gibson (11 straight starts, June 6-July 30, 1968), Josh Johnson (8 straight starts, May 13-June 20, 2010), Derek Lowe (8 straight starts, August 31, 2008-April 10, 2009), Johan Santana (8 straight starts, August 23-September 29, 2004) and J.R. Richard (8 straight starts, August 3-September 6, 1979)...Recorded his ninth win of the season on July 6 at Cleveland - according to the Elias Sports Bureau, Fulmer became the third rookie in franchise history to win at least nine games before the All-Star break, joining Mark Fidrych in 1976 (9-2) and Justin Verlander in 2006 (10-4)... Over a 10-start stretch from May 21-July 17, compiled a 7-1 record with a 0.83 ERA (65.1IP/6ER) and 55 strikeouts - according to the Elias Sports Bureau, since the major leagues began keeping track of earned runs just over 100 years ago, no other pitcher has compiled an ERA that low over a span of 10 successive starts in the season of his major league debut…over the last 50 seasons, the only other rookie to produce an ERA below 1.00 over a span of 10 consecutive starts was Cal Eldred, who had an ERA of 0.95 over a 10-start run for the Brewers in August and September, 1992...Threw the first complete game and shutout of his career on August 14 at Texas, allowing four hits and striking out nine…became the first Tigers rookie pitcher to throw a shutout since Justin Verlander on May 22, 2006 at Kansas City... Pitched 7.0 innings in the game on September 9 vs. Baltimore, allowing two runs on three hits with one walk and five strikeouts…in his first eight career starts at Comerica Park, Fulmer had a 2-2 record with a 2.90 ERA (49.2IP/16ER) and 38 strikeouts - according to the Elias Sports Bureau, over the last 25 years, only two other Tigers pitchers have had an ERA under 3.00 over their first eight MLB starts at their home park as Mike Maroth had a home ERA of 2.44 after eight starts in 2002 and Jeff Weaver had a 2.76 home ERA in 1999. Lefthanded hitters posted a .222 (67x302) average, while righthanders batted .240 (69x288) against him... Started 10 games at Comerica Park and had a 3-2 record with a 3.00 ERA (60.0IP/20ER) and 50 strikeouts…made 16 starts on the road and went 8-5 with a 3.09 ERA (99.0IP/34ER) and 82 strikeouts... Posted a 9-2 record with a 2.11 ERA (76.2IP/18ER) and 72 strikeouts in 13 games prior to the All-Star break, while he went 2-5 with a 3.94 ERA (82.1IP/36ER) and 60 strikeouts in 13 games following the All-Star break. Selected the Eastern League Pitcher of the Year in 2015 after leading the league with a 2.14 ERA (117.2IP/28ER) and a .769 winning percentage and ranking fourth with a 1.10 WHIP and a .228 opponent batting average. Started the season in the New York Mets organization before being acquired by the Tigers along with Luis Cessa in exchange for Yoenis Cespedes on July 31, 2015. Led all Eastern League starters with 8.87 strikeouts per nine innings, while he was third with 10.02 baserunners per nine innings and fourth with a .228 opponent batting average. Named a Minor League All-Star and a Double-A All-Star by Baseball America, while he was selected to the Eastern League postseason All-Star Team. Began the season with Class A St. Lucie and made one start, throwing 7.0 innings on April 26 at Jupiter and allowing three runs on four hits with nine strikeouts. Allowed three earned runs-or-less in 14 of his 15 starts with Double-A Binghamton from May 3-July 28. Picked up his first win of the season on May 9 at Akron, allowing one run on five hits with two walks and four strikeouts in 5.0 innings. Threw a season-long 7.0 innings on June 24 vs. Harrisburg -- also tossed 7.0 innings on June 29 at Akron and July 9 vs. New Britain. Finished the month of June with a 1-1 record, a 2.12 ERA (29.2IP/7ER) and 28 strikeouts in five starts. Had a stretch of five consecutive quality starts from June 18-July 9 -- during the stretch, he compiled a 3-1 record with a 0.54 ERA (33.1IP/2ER) and 36 strikeouts. Posted a 4-1 record with a 0.93 ERA (29.0IP/3ER) and 35 strikeouts in five starts during the month of July. Did not allow an earned run in seven of nine starts from June 24-August 9. Selected the Eastern League Pitcher of the Week for the week ending August 9 after finishing the week with a 2-0 record, a 0.00 ERA (12.2IP/0ER) and 11 strikeouts in two starts. Started five games in August and had a 4-1 record with a 2.60 ERA (27.2IP/8ER) and 29 strikeouts. Held righthanded hitters to a .213 (52 for 244) average, while lefthanded hitters batted .247 (48 for 194) against him. Named the best prospect in the Tigers organization by Baseball America and MLB.com following the season. March 23, 2019 Detroit Tigers placed RHP Michael Fulmer on the 60-day injured list. Recovering from Tommy John surgery. October 29, 2018 Detroit Tigers activated RHP Michael Fulmer from the 60-day injured list. September 21, 2018 Detroit Tigers placed RHP Michael Fulmer on the 60-day disabled list. Torn meniscus in right knee. August 24, 2018 Detroit Tigers activated RHP Michael Fulmer from the 10-day disabled list. August 14, 2018 Detroit Tigers sent RHP Michael Fulmer on a rehab assignment to Lakeland Flying Tigers. July 20, 2018 Detroit Tigers placed RHP Michael Fulmer on the 10-day disabled list. Left oblique strain. August 14, 2017 Detroit Tigers activated RHP Michael Fulmer from the 10-day disabled list. August 3, 2017 Detroit Tigers placed RHP Michael Fulmer on the 10-day disabled list retroactive to August 1, 2017. Right elbow ulnar neuritis. April 29, 2016 Detroit Tigers recalled RHP Michael Fulmer from Toledo Mud Hens. March 17, 2016 Detroit Tigers optioned RHP Michael Fulmer to Toledo Mud Hens. November 20, 2015 Detroit Tigers selected the contract of Michael Fulmer from Erie SeaWolves. August 4, 2015 RHP Michael Fulmer assigned to Erie SeaWolves. July 31, 2015 Detroit Tigers traded LF Yoenis Cespedes to New York Mets for RHP Luis Cessa and RHP Michael Fulmer. May 3, 2015 RHP Michael Fulmer assigned to Binghamton Mets from St. Lucie Mets. April 26, 2015 RHP Michael Fulmer assigned to St. Lucie Mets from Brooklyn Cyclones. April 9, 2015 RHP Michael Fulmer assigned to Brooklyn Cyclones from Binghamton Mets. September 23, 2014 Binghamton Mets activated RHP Michael Fulmer from the 7-day disabled list. August 25, 2014 Binghamton Mets placed RHP Michael Fulmer on the 7-day disabled list retroactive to August 21, 2014. August 19, 2014 RHP Michael Fulmer assigned to Binghamton Mets from St. Lucie Mets. September 24, 2013 St. Lucie Mets activated RHP Michael Fulmer from the 7-day disabled list. August 24, 2013 St. Lucie Mets placed RHP Michael Fulmer on the 7-day disabled list. July 6, 2013 RHP Michael Fulmer assigned to St. Lucie Mets from Savannah Sand Gnats. June 25, 2013 Savannah Sand Gnats sent RHP Michael Fulmer on a rehab assignment to GCL Mets. April 4, 2013 Michael Fulmer roster status changed by Savannah Sand Gnats. September 28, 2012 Savannah Sand Gnats activated RHP Michael Fulmer from the 7-day disabled list. August 28, 2012 Savannah Sand Gnats placed RHP Michael Fulmer on the 7-day disabled list. Left shin contusion. April 10, 2012 Savannah Sand Gnats activated RHP Michael Fulmer. April 4, 2012 RHP Michael Fulmer assigned to Savannah Sand Gnats. August 6, 2011 GCL Mets activated RHP Michael Fulmer. July 24, 2011 RHP Michael Fulmer assigned to GCL Mets from New York Mets. July 23, 2011 New York Mets signed Michael Fulmer.